riveting from the opening paragraph to the closing line with no let downs between. perfect book, both in story and in writing style, read perfectly by Guidall. 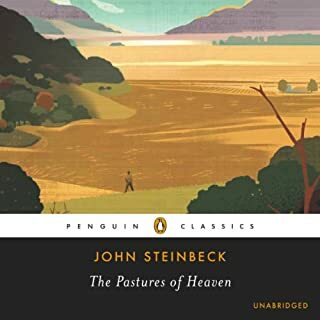 I can't believe this is the same author who wrote Grapes of Wrath, which I put down after a few chapters out of boredom... this book is nothing like Grapes. A beautiful piece of propaganda! This book was written for a purpose: to encourage people to stand up to evil and oppression. And it actually served that purpose. During WWII it was a best seller in many places, including France. And it was banned by the Germans. And now, 70 years later it stands up to the test of time. It should still remind us all not to allow a tyrant in; that when the tyrant takes control we should not stay silent; that we should always use our voices and our talents to object to the things we see that are evil or wrong. In the early 1980s, during the cold war, I served in the USAF. I was taught a lot about the evils of propaganda. I was taught about the hatred it spews. I was taught about its inherent vices. But I never saw an example of a positive and beautiful piece of propaganda. Until now. Having shared all my raves you may wonder why I didn't give the book 5 stars. I think there are two reasons. 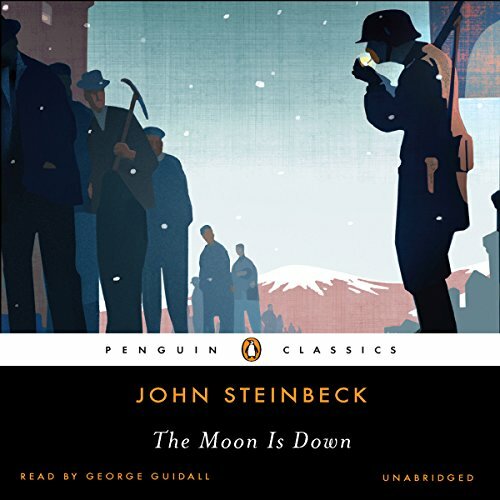 First, I am comparing it to The Grapes of Wrath, Of Mice and Men and Travels with Charley and it isn't quite as good. Second, I hated the ending. It felt like I was missing at least one chapter. It felt like a non-ending. Some may like this aspect, but I hated it and it resulted in the loss of one star. wonderful book, so true and informative. very easy listen, great message and insight on the struggles in the world between the elite that want to take over and control the people. A simple story of a simple peaceful town made angry over occupation. Certain words never appear in the story. The omissions are obvious, and are used to great effect. It is a classic story of resistance unexpected. The invaders learn the meaning of fear. I love the Mayor in the story. He so correctly expresses the idea of government by the people and the position of an elected official. 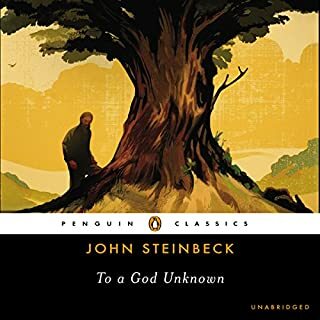 I do enjoy all I've read that Steinbeck wrote. He writes simply, yet with a deep sense of understanding of human psychology. His characters are well developed and likeable, and retain a sense of human fullness, possessing both good and bad traits. 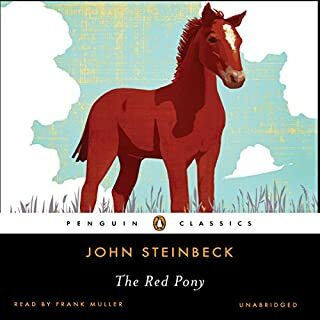 Steinbeck has his own place in American history. I read the Audible narrated by George Guidall. It goes without saying that the book was read perfectly, and with great charm and expression. It has been said that Guidall could read the phone book and make it a pleasant experience for the listener. 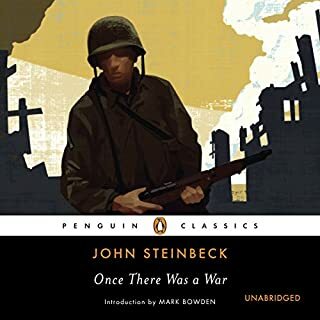 In this book, he seemed to read as if he were there. 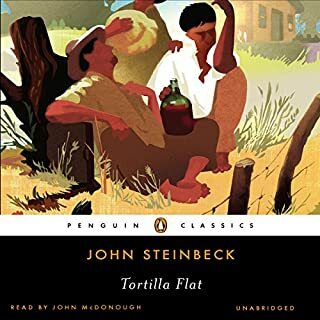 Great story by my favorite author of all time. 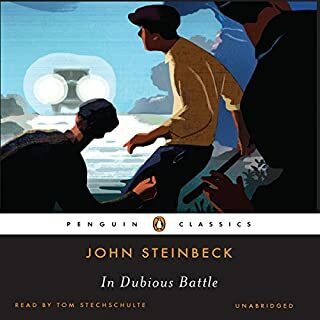 My favorites East of Eden, The Wayward Bus, In Dubious Battle, The Pearl , and The Grapes of Wrath.